It was a long day, but it was a good day. 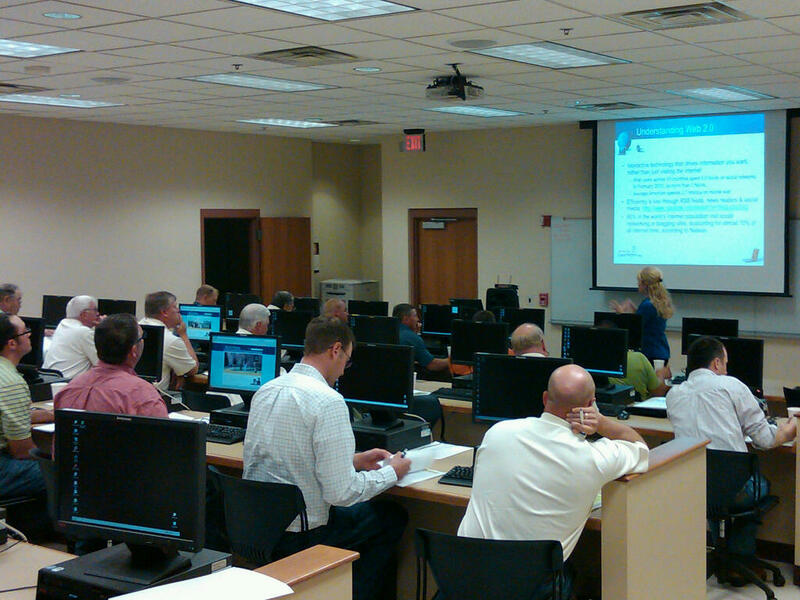 Last Friday, Cause Matter Corp, #AGCHAT founder and social media professional, Michelle Payn-Knoper, stood in front of a classroom full of South Dakota Corn Board directors with one goal in mind…teaching them the importance of #Agvocacy and how to use Facebook and Twitter to tell their story. “Are you concerned about how the media is portraying agriculture?” Payn-Knoper asked. There was an obvious consensus in the room as several slides showing examples of anti-agriculture agendas flew across the projector screen. Payn-Knoper pointed out the large following that anti-agriculture activist groups like the Humane Society of the United States and PETA have. It didn’t take long for Payn-Knoper to gain everyone’s attention. As board members, they are well aware that modern agriculture is under attack, but many of them haven’t been exposed to specific examples found via social media sites. It was clear the group realized the importance of the task at hand. With a majority of the group having a diverse farming operation, the board directors, just like other producers, are very busy and don’t have a lot excess time during their day. When the day started, only four of the board members were on Facebook and zero on Twitter. By the end of the day all 22 members present were up and running on both. “Farmers have always been good at adapting to new technology, only this time it’s not to protect our land, but our livelihood,” said South Dakota Corn Utilization Council President, David Fremark, a farmer and rancher from St. Lawrence, SD. The high point of the day was during the afternoon session when the group started understanding how to use Twitter and witnessed its power. Within minutes of going live, the board directors had a number of followers waiting to hear their message. The group’s enthusiasm did a “180” as they started sending out their own Tweets. There was a definite sense of accomplishment in the room, but their efforts have only just begun. This entry was posted in Education and tagged Ag Chat, Agvocacy, corn, Facebook, farmers, Humane Society of the United States, PETA, social media, South Dakota Corn, Twitter.